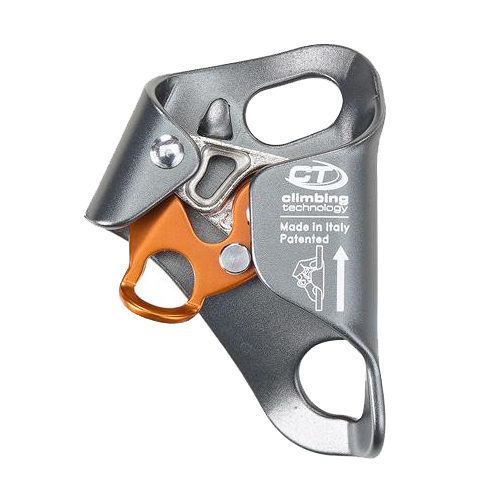 From Climbing Technology comes a lightweight alloy ascender with ergonomic rubber handle, ideal for climbing ropes. Available in right- or left-handed grip. 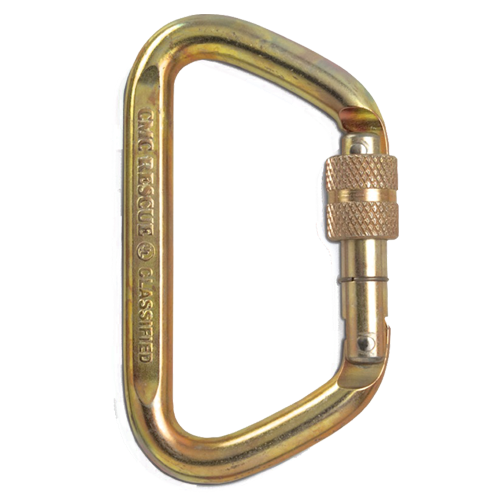 *Fits 10-13 mm rope sizes. 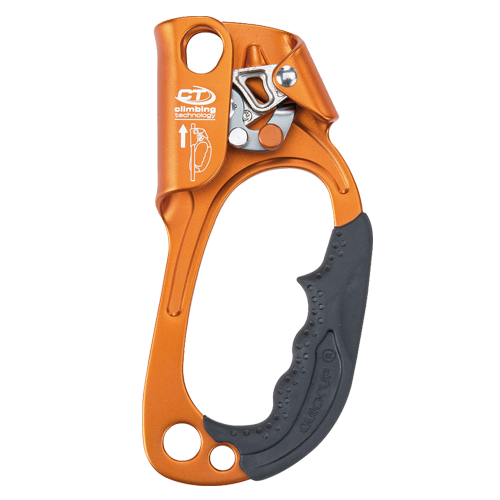 Cam has 3 cut-outs to prevent build-up of mud and reduce the force needed to slide the ascender up the rope. Two attachment holes for various possible uses, anti-inversion cam system, secondary hole for connecting a Maglia Rapide for an Etrier. EN 12841:2006-B Rope Adjustment Device. 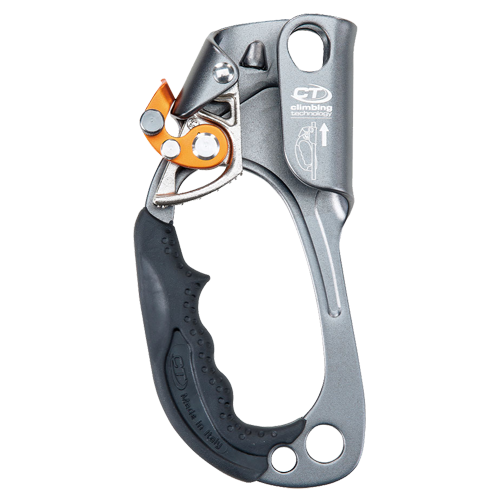 EN 567:2013 Mountaineering Equipment, Rope Clamps.